How To Succeed In The Printing Business In 2018? 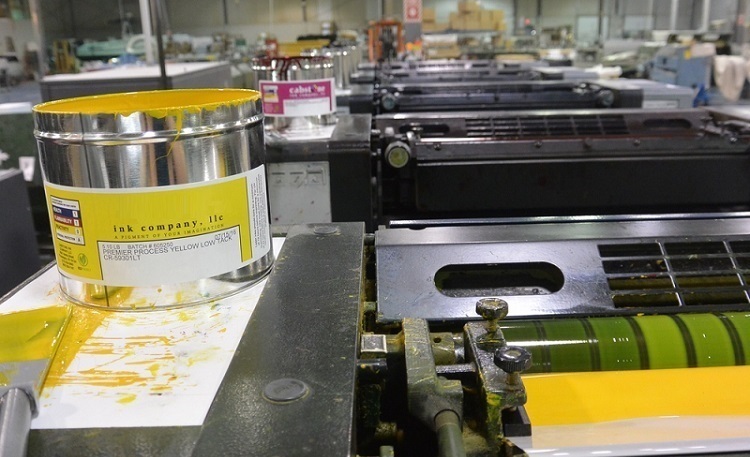 Print business has been around since the time printing was done by hand. It has been the most sought after and competitive business ever since. Recession or inflation, printing companies never go out of business. The turn of the century saw a slight shift in the equation with e-commerce gradually taking over the world. Online businesses kept springing up in every part of the globe and digital media spread its wings. This led to a huge decline in the printing business. The downward spiral was short lived though. As the business pioneers learnt ways of integrating the digital media with print, the flight took off again. Printing companies in Dubai have already started using these basic techniques to give a push to their business growth. Learn it from the biggest beverage brand in the world “Coca Cola” with their “Share a Coke With” campaign. The company almost doubled its sales by selling bottles of the drink with common names printed in place of the logo. It was a massive hit among the masses, giving them something personal to hold. Ferrero Rotcher did something similar for their famous chocolate spread “Nutella”. The marketing campaign sold a massive 235,000 jars in the UK with personalized names in place of the logo. The campaign was a success not just in UK, but managed to sell 94.6% jars available in the market across UAE. This customization craze is a huge indicative of public wanting to own a part of themselves in the things they use. It’s a clear sign that people want their print to be their own! Learn to love the digital media and see it not as a competitor but a partner. In order to ensure your long-term survival, it is important that you learn the workings of the digital world. You already have a strong, in-depth knowledge of printing. Knowing the digital world will get you the edge you need to drive out all competitors. This expertise will help you guide your clients better on how to run their print and digital marketing campaigns together. In fact, when your clients learn that you can handle both, they’ll trust your work better. This will result in more sales for them and better customer loyalty for you. The two can easily be integrated to benefit each other greatly by driving one to another. For example, using emails to encourage people to print brochures, or giving out a QR code on a printed add that can only be scanned through a mobile app. Stay updated about all the latest technologies in the world. Switch to latest trends as fast as you can, but don’t forget the classic approaches! You must be aware of the rise in demand of old formats. People adore the classic appeal of the print. Look for the old machines that could emboss, stitch, die cut or use foil or could sew & drill. Integrate these classics with the latest printing technology available to create masterpieces. Clients often have very complex ideas about what they want printed. These can only be achieved by using all of these techniques in coordination with each other. The biggest mistake printing officials make is they take in too many orders to not risk losing the customers. The biggest advice is to never compromise quality over speed. The latest trend in printing market is on flexible packaging and labeling of specialty products. These include corrugated boxes and labels that need to be printed fast. But you need to keep in mind that you can’t win the market with speed alone. Your work needs to dynamic, and it needs to show quality vibrancy without being too slow! Be it print marketing or any industry in the world, to stay out front, you need to learn to embrace the change when required. The trends in the industry don’t change overnight, it’s a slow process. It takes a smart individual to predict these changes and adapt to them. Finally, study the market, analyze the biggest names in the world, take a glance at biggest printing companies in UAE or USA, and learn what they’re doing differently to be this successful. There has to be something that gets you farther than everyone else around you!